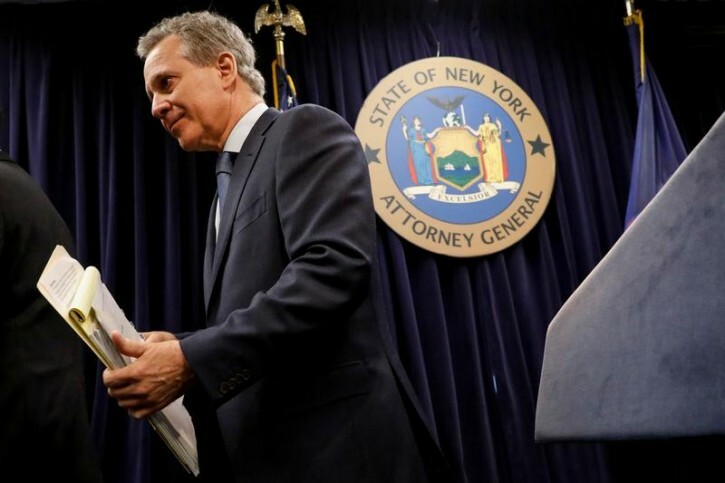 New York - The prosecutor appointed to investigate allegations that former New York Attorney General Eric Schneiderman physically abused women says she has closed the case without bringing criminal charges. She said in a brief statement that investigators did an “exhaustive review” and she personally interviewed each woman who had accused Schneiderman of assault. Singas says investigators also spoke with members of Schneiderman’s security detail. Singas added that the probe found no misconduct by Schneiderman’s staff in the attorney general’s office. of course not he is a Democrat and abused 4 unconsenting women, but Trump who was with a ZONA doing the only thing she knows how to do, Impeachment, Dems are just as corrupt as Mugabe.